Sea of Lies interweaves MH370's disappearance, a Vietnam-era Spec Forces villain, an NSA whistleblower's escape from Russia, a sultry Chinese spy teamed up with a CIA code breaker, Iran's covert nuclear weapons program, a DDOS launched against the US's surveillance satellites, and the US and China's struggle for control of the Western Pacific. Singapore, Burma and Sri Lanka feature prominently, with the final showdown in the Australian Outback. The book opens on the same day that MH370 vanished, Saturday March 8, 2014. Outcast CIA cryptanalyst Bob Nolan is on vacation in Rangoon, Burma when he finds a secret airstrip in the salt marshes of the Irrawaddy Delta. Robin Teller, an ex-Vietnam Special Forces veteran and founder of a CIA-front arms trading company, captures Nolan. In 1985 rookie agent Nolan helped Teller flee after the Bangkok-based conglomerate imploded. Teller releases Nolan only to change his mind and the chase is on! Nolan teams up with Rangoon-based East Asia DEA number two Sam Hecker and Travis Ryder, Hecker's ex-SEAL head of security. The men build the case that MH370 landed on Airstrip One, but no one knows what high-value target(s) deplaned. Teller's mercenaries turn Rangoon into a killing field. In response, Hecker and Ryder import the "Wild Bunch", a dozen current and ex-Special Forces and Delta Force operators. After a firefight at a safe house, there's a showdown at the port when Hecker's men find a highly radioactive container. Nolan sees the CIA's fingerprints everywhere, but is it the work of rogues and ex-agents, or a conspiracy orchestrated at the highest levels of government? And what prize could justify the murder of 239 passengers and crew? Nolan escapes from Rangoon and reaches Singapore where he has a short, intense affair with a young Agency researcher assigned to the MH370 task force. Nolan gathers more MH370 evidence and in parallel works to ransom godson Mark Watermen, a Snowden body double under house arrest in Moscow. In both cases, Nolan will have to solve the mystery on his own as the CIA suspects he's either a Russia or China double agent, or tripling for both. "Crisp dialog drives non-stop realistic action across Burma, Singapore, Sri Lanka, China and Australia." James Hawes, SEAL Team-2, Author of Congo Covert Waters: First Navy SEAL in Africa. "MH370's fate remains a mystery. 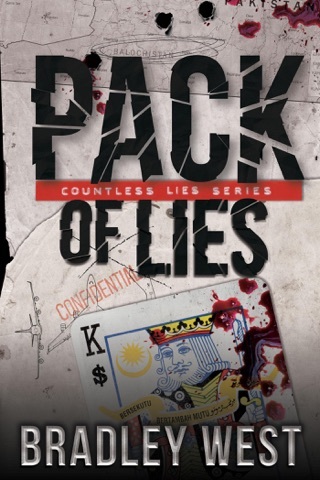 This compelling and well-researched novel raises questions that require answers." 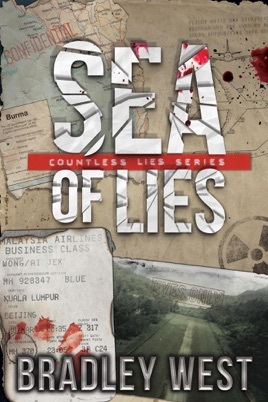 Fans of Jack Ryan Jr., Alex Berenson/ John Wills and Far East crime thrillers will appreciate Sea of Lies.